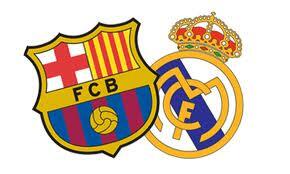 The first leg of Real Madrid VS Barcelona was won by Barcelona 2-0. It was an anticipated match as usual between these two great rivals. Here are my thoughts before and after the match. Video Highlights follows. – Iniesta won’t be playing for Barcelona so I thought that maybe Real Madrid can have a little bit more control in the midfield. I was proven totally wrong. – Busquets and Alves are seriously good actors and the main reasons why Barcelona’s opponents have their players sent off. Poor Pepe. – Messi second goal was seriously awesome! – Would like to watch Ronaldo played the way he used to when he was with Manchester United. A tie in the 2nd leg and Barcelona goes to the final in Wembley. To me, the match was more interesting compared to the first leg and Barcelona was the better side. Refereeing quality has improved and although yellow cards has been awarded (no reds this time), they were for obvious offences. Only complaint would be that Read Madrid could have been 1-0 up if it wasn’t for a goal by Higuain disallowed due to a foul on Ronaldo but free kick awarded to Barcelona. Most players were disciplined enough to play some good football and thanks god there were less acting this time. Now I know why Messi is a better player compared to Ronaldo. Cassilas made several good saves and was the only reason why Real Madrid was still in the game after the first half.